Around 30 students gathered today to peacefully protest against tuition fees. The full article can be read here. The activist group can be followed on twitter and facebook. WONDERING WHAT HAPPENED ON CAMPUS ON 20 NOVEMBER 2013? Today is the first anniversary of protests against the military business and arms trade event ‘DPRTE2013’. Those protests were successful because we kicked DPRTE out of campus and Bristol, but the silencing of the repression we faced, and the still ongoing suppression of the subsequent campaign for an independent review remains an unresolved issue. To mark this date, and as part of an ongoing campaign to raise awareness about these issues and hold the university accountable, we re-publish below the text that some of us wrote on the evening of the 20 November 2013 in an attempt to reach out to UWE students, and that very few people have still read to this date. WONDERING WHAT WAS GOING ON ON CAMPUS TODAY? Today, UWE hosted a military business fair inside its conference centre, the ECC. This fair is an event for military and business worlds to meet. It happened on Frenchay campus and we think, first and foremost, that it should be a place of learning. The presence of companies infamously affiliated with, or active within, the arms trade (such as Thales and Raytheon) shows us that this was NOT, as we have been assured, a simple trade fair, but a meeting between private businesses who are funding military operations all over the world, be it through industrial association or active involvement. This morning, we staged a peaceful protest outside the North and East entrances to Frenchay campus, as well as outside the main entrance to the ECC building to express our anger and disgust at what was, in effect, an event endorsing the expansion and technologies of the defense industry on a university campus.One protester was arrested and one of our friends, a UWE student, suffered a bleeding injury after being hit by a conference participant. UWE security and police prioritised the military business fair over our safety and freedom of expression. Many of us were recorded on video by special intelligence-gathering police and some were even harassed. Is this freedom of expression? Both UWE and UWESU were informed about attacks on our bodies, but they apparently had more important business to attend. This is the UWE student experience! We are really shocked by what happened today and we need to get some rest. Beyond these scandalous attacks and threats, we shouldn’t also forget the issues that we attempted to air today. We denounce UWE’s irresponsible strategy of furthering a business agenda at the detriment of courses, students, staff, the quality of education, critically important research, and sustainability. With the hosting of this fair and, among other things, their approval of the tripling of tution fees two years ago, we consider that UWE management have demonstrated their priorities clearly: prioritise business of any kind even at the detriment of the physical integrity and the freedom of expression of a handful of students who did their utmost best to air very important points, despite systematic silencing, hostility and even sometimes aggression. For this reason, we need to stand up and speak out against the present and future involvement of our university with businesses and projects such as those present today. This is not just about one event, it is about maintaining the solidarity of students, staff and people all over the country and the world in the face of corporate greed. WANT TO TAKE ACTION OR FIND OUT MORE? 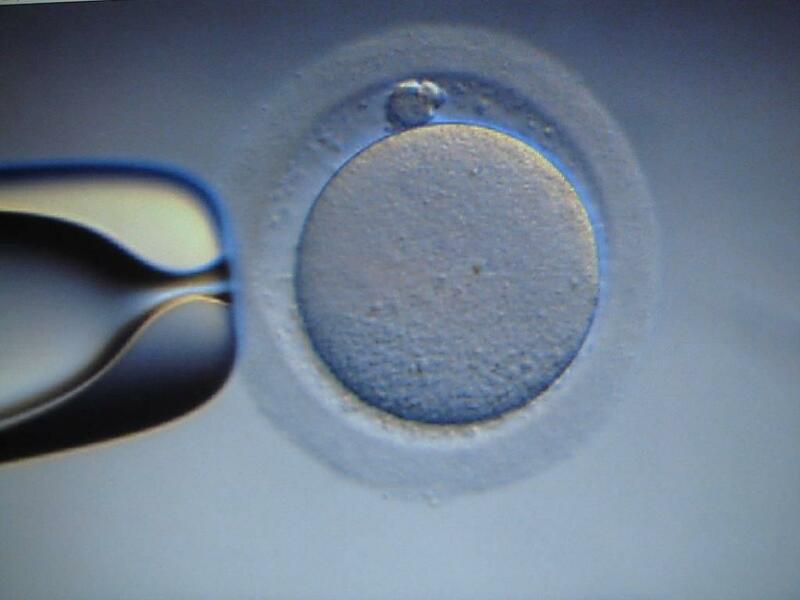 Talk and debate: Is cross-border human egg donation [im]moral? Talk at the Watershed with two UWE researchers, followed by debate on 20 November 2014. For more information and to register, click here. UWE UCU: How to survive casualised contracts? The UWE branch of the lecturers’ union (UWE UCU) is organising an event on 5 November 12-1pm to discuss the rights, practical tips and how UCU can help people on casualised contracts. If you are an associate lecturer, a researcher or an ‘HPL’ (Hourly Paid Lecturer), this meeting is for you. This is an open meeting and you are welcomed even if you are not a UWE UCU member. Bring lunch. Coffee, tea and biscuits provided. Featured picture from JJ Clark’s 2014 video campaign statement on Youtube. On the front page of the WesternEye’s September 2014 issue, Philip Mansell signed an enthusiastic article entitled ‘UWE student success and satisfaction soars’. The article is also available online here. To read Clark’s post, click here. Read more on the WesternEye’s website. Since 2008, UWE’s Bristol Business School has been running the so-called “Bristol Distinguished Address Series“. This series is described by the university as “a unique opportunity to hear about the challenges, issues and decisions being made at the highest level of strategic leadership” and promoted as an opportunity to “meet leaders of industry“. However, more than a platform enabling and relaying the university’s pro-business agenda, this series has featured several arms companies. On 16 October 2014, as part of the so-called “Bristol Distinguished Address Series“, UWE Bristol hosted Leo Quinn, the CEO of QinetiQ. QinetiQ is the 6th largest UK arms company according to tCampaign Against Arms Trade (CAAT), and the 52th biggest global defence company by revenue according to Defence News’ Top 100 for 2012. Qinetiq prides itself on its expertise designing weapons, and for providing facilities and products for testing weapons. It is a close partner of the Ministry of Defence, from which it received £998m in 2013 as the third five-year term payment of a 25-years long partnering agreement. A postcard produced by campaigners highlights the kind of technology QinetiQ makes its business from, and how it is used. Source: Better Together. This is not the first time UWE invites this particular arms dealer. On 28 October 2009, the same “distinguished address” series invited Graham Love, then QinetiQ’s Chief Executive Officer. Interestingly, one day after being celebrated as an exemplary business leader at UWE, Graham Love would quit his job after the company was criticised for “fail[ing] to properly fulfil its duties as an independent advisor” in the investigation of the Nimrod plane crash that claimed 14 lives. From left to right: Jane Harrington (Pro Vice-Chancellor and Executive Dean of UWE’s Faculty of Business and Law and UWE Governor), Graham Love (CEO of QinetiQ), John Rushforth (UWE’s Deputy Vice-Chancellor) and Nicholas O’Regan (UWE Professor at Bristol Business School and founder of the “Distinguished Address Series”). Picture taken the day of Graham Love’s speech on 28 October 2009 at UWE Bristol (Frenchay campus), and one day before the CEO of QinetiQ quit his job following the Nimrod plane crash scandal. Picture from UWE Bristol Business School flickr account. QinetiQ is also not the only arms dealer UWE has hosted as part of this “lecture” series. Past guests have included BAE Systems (3rd biggest global defence company according to Defence News’2012 ranking), Boeing (2nd biggest according to the same ranking), nuclear specialists Babcock, (32nd biggest) or Defence Equipment & Support (DE&S, self-described as a “bespoke trading entity” of the MoD with an annual budget of £14 billion). Besides speakers from the arms trade, the series also featured managers of “distinguished” businesses such as Tesco, Hilton or Lloyds Banking Group. The Bristol Distinguished Address Series (also sometimes referred to as Distinguished Executive Address Series, DEA) has been running since at least 2008. According to David Pinchard, the series was launched by Nicholas O’Reagan, a Professor at Bristol Business School. Achieved in partnership with pro-business organisations such as Business West, the UK’s top business lobbying organisation, the Institute of Directors, or Bristol Junior Chamber, it is UWE Bristol’s event to engage with, celebrate and facilitate big business, thus contributing to the university’s pro-business “partnership” strategy. Thus, while those events are branded as a “lecture” and promoted to students as a “a unique opportunity to hear about the challenges, issues and decisions being made at the highest level of strategic leadership”, they are also advertised to the business community as a social and networking event complete with “wine and canapes”: “After every event there is an opportunity to network and build up your business industry contacts“. For the university, it seems that any business goes. Distinguishing such managers and setting them as models is completely unproblematic. Hence, for example, QinetiQ’s talk was about “cultural transformation”. The fact that QinetiQ makes huge profits through developing, testing and manufacturing arms was written off the event’s description, UWE speaking instead of the country’s “largest research and technology organisation”. Moreover, the university’s spokesperson claimed that the event represented the university’s “culture of free and open discussion“. UWE Bristol thus not just trivialises the arms trade, but celebrates and furthers corporate greed including profiteers from the business of death, under the pretence of democracy. Does a speech by a business manager constitute democratic debate? Should UWE keep celebrating and enabling the arms trade through its “distinguished” #BristolLecture series? Is it ok for a university to legitimise the arms trade, trivialising it and making it look respectable? Is it ok for a university to further the interests of any business? And should UWE’s “distinguished address series” host a high-ranking manager of British Petroleum on 11 February 2015, at the beginning of Bristol Green Capital? Let us know what you think over here and/or on twitter (#BristolLectures). Following the article by the Uni Paper about UWE’s ‘staggering’ number of procedural cases in February, the BBC and the Bristol Post recently gave more details about this story.